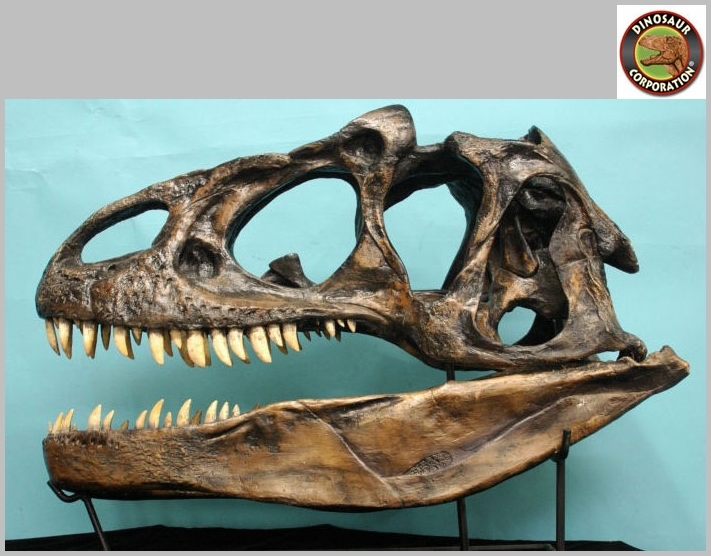 Allosaurus skull. Allosaurus fragilis. 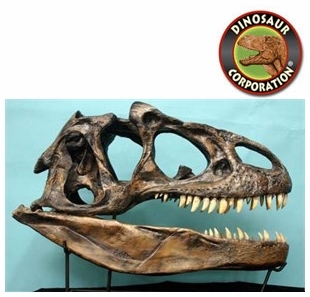 Dinosaur fossil skull replica. Location: from the Upper Jurassic Morrison Formation, Cleveland-Lloyd Quarry, Utah. * Size 33 inch x 12 inch x 18 inch (82.5cm x 30cm x 45cm) mounted.